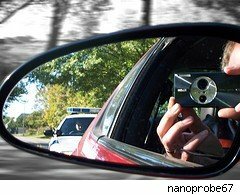 Speed traps and I have a long history that owning a radar detector hasn't improved. I used to have a Fuzzbuster that sat on the dashboard. It never squawked until I could see the cop and his radar gun –– and then it was too late. Tickets, Fuzzbusters and opportunistic lawyers constitute a cottage industry in many places, but especially in upstate New York, where the state highway patrol on the New York State Thruway are particularly sneaky and arrogant.The New York State Thruway is absolutely flat, straight and practically empty. The only reason to stringently enforce the 55 or 65 mph speed limit is to add a few more bucks to the retirement fund of the Glock 37-toting State Police Troop T (for turnpike). The legal system gets its cut as well. Just Google "tickets" and "Thruway" and you can find dozens of attorney sites like this one promising to save you from points that can easily cost you your license. Their fee, however, will clean out your pockets. The only other place where I've driven where the cops are more blatantly corrupt is in Paraguay, the smuggling capital of South America. 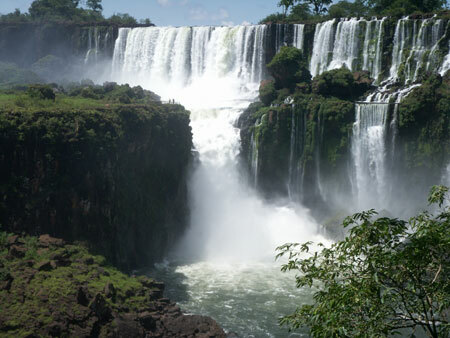 Halfway between the capitol city Ascension and Iguazu Falls, one of the most spectacularly beautiful places on earth, I got a speeding ticket. I was the only car on the road, practically the only one I saw that day in this rural part of the world where oxen still plow the fields. I was driving a 10-year-old car, running on three cylinders with a manual shift and practically no brakes. I had to drive fast going down hill or I'd never make it up the next hill. I was coming down an incline and a cop with an M-16 hanging around his neck stepped out in the middle of the road. I slammed on what brakes there were and pulled over. That was probably a mistake, but the M-16 did give me pause. The cop said that he had me on radar. Oh, shucks. I forgot my Fuzzbuster. Radar. There wasn't even any electricity out there in the middle of absolutely nowhere. No power poles. Not even a solar panel or a windmill. The fine was $50 American – in cash – payable on the spot. My traveling companion held up a crisp $20. We settled on $25, and I was on my way. In New York, I was never held up quite that blatantly, but in New York, $25 wouldn't pay for the cop's daily coffee and doughnut ration. Anyway, my advice is to forget about a radar detector. Today's police radar units rely on either a Ka bandwidth or a laser system, which gives them the ability to point and shoot too quickly for a driver to get the information far enough in advance to slow down. If there's lots of traffic and the cop's shooting most of the cars ahead of you, then the device might warn you in time, but as this upstate New York attorney says, "Don't count on it."